The newest luggage style is the Tall 4 Wheel Duffel Packing Case which offers top- and split-case access and features four interior shoe panels. New bags include the Slim Backpack, a compact backpack designed for those with a lighter load, the Slim 3-Way Brief, a sleek business offering that can be carried as a backpack or a bag, and the Expandable Tote, a highly functional easy-to-carry men’s tote. 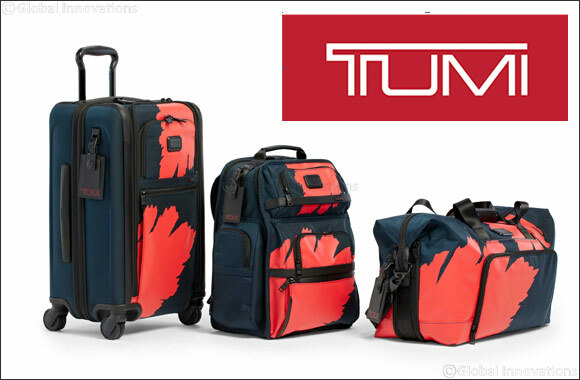 Therefore, we must change too,” says Victor Sanz, TUMI’s Creative Director. “I wanted to reimagine the designs that have inspired a generation of travelers; to improve upon the timeless styles and incorporate the newest and best technology, offering our customers best-in-class products that will stand the test of time and inspire the next generation of travelers.